Granted, that the ERP solutions or the Enterprise Resource Planning Solutions transform and streamlines the businesses and all the processes related to them; the fact that their implementation process is a crucial factor that determines overall benefits and profits is just too big to be ignored. Whereas a good ERP Tool and Successful Implementation of ERP can do wonders to your businesses and profits; an erroneous ERP implementation can lead to huge losses that might take a long time to recover. 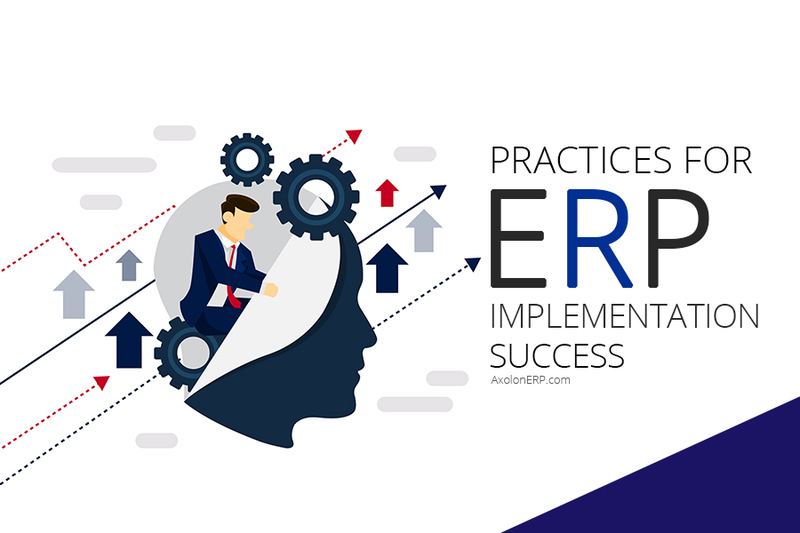 The following post will be discussing the ERP Implementation Success Factors and then help you shortlist the ERP Solutions. Before you venture into the ERP implementation using a standard online tool that is available for free, you should understand the business, its underlying processes and the most crucial requirements that it has and are to be worked upon by the ERP Solution. This step is actually the most crucial and detrimental one when one begins to Implement ERP System. For example, if you need to manage the Project and Employees, then a full-fledged ERP solution for the entire business management would prove to be a failure and investment fiasco. The positive ROI (Return on Investment) is the best indicator of the Successful Implementation of ERP and is thus one of the main things that should not be ignored even before the implementation. While planning the ERP Implementation, spend some time and resources to build a business case scenario with the ERP Solution (you are trying to implement) and find out if you are able to generate a positive ROI. Don’t; Just Don’t skip this step or meddle with the statistics to meet the expectations. Having a profitable business case is the best of all the ERP Implementation Success Factors. Having done the initial business case assessment, you can easily arrive at the decision of choosing an ERP package that suits your needs. Hence, the next step towards the Successful Implementation of ERP is the proper management of the resources during the complete project timeline and management of the project itself. It is of utmost importance to have an immaculate manager during the implementation phase so as to ensure that no task gets over-stretched or left. Ensure when you are going to Implement ERP System the executives of the organization offer their full support and commitment towards the business and implementation process. The flawless and seamless effort investing and commitment of the executives is one of the most important ERP Implementation Success Factors that will matter in the long run. If any department lacks, the effect will be visible in the long run over the performance of the business as a unit. Though you can think that you can implement the ERP at any point of time, the best Time to Implement ERP is when you have planned the course of action well in advance; have analyzed whether the implementation will be solving the problem areas with profits assured; and generated a well-formed timeline for resource allocation and managing the business. Early planning always offers unparalleled benefits and creates odds of Successful Implementation of ERP better than anything else. The whole business might take a long Time to Implement ERP and it is good for some things; such as the Data Migration and training for the changes. When the implementation is going on, you can easily do the data migration slowly and gradually. For example, it is easier to feed data for 6 months daily as compared to feeding data for 4 years in a row. Gaining speed in the business during the early stages of the ERP implementation will offer you an edge and make you compliant to the ERP System well in advance. You can also employ this time to train your human resources for the changes in the systems that have been brought by the ERP implementation. One of the ERP Implementation Success Factors is the investment in the Change Management and Talent Training. It means that you should invest time and resources in terms of money and efforts to train your employees for the new business environment and to accommodate the changes. If you shirk away from this step thinking that it might save you some money; you might have to incur comparatively more losses in future. 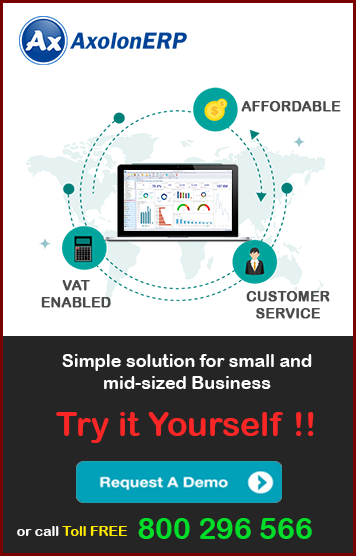 For example, the data operators might find it challenging to deal with the automated tools and business billing software and end up with frustration that is vented out in different forms. So, don’t overlook the power of investing in training and change management for Successful Implementation of ERP. This is the last, but not the least of all the ERP Implementation Success Factors that will pay you for sure if administered properly. Always keep in mind why you began and implemented the ERP in your business processes. This will keep you motivated to work towards an assimilated system development and nurturing and actually analyse the stats in the best possible manner. Well, this is all. Let us hope you get some really beneficial hints and work on the same lines to build a profitable business that grows leaps and bounds..! !